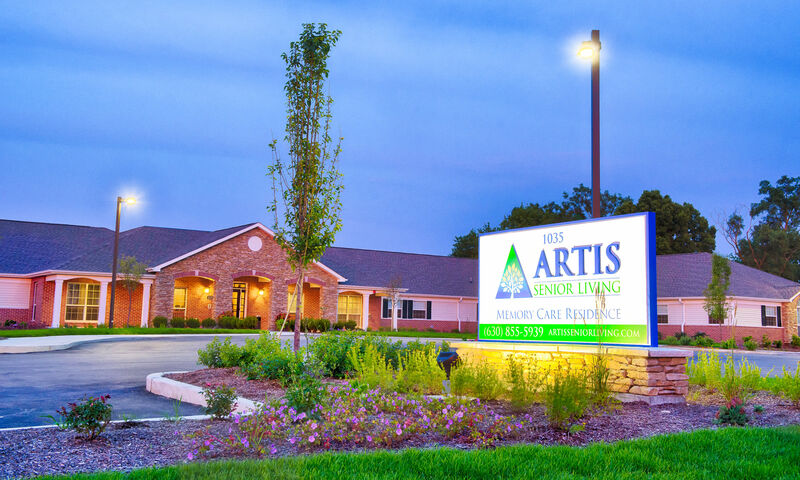 Artis Senior Living of Bartlett proudly offers residents a premier memory care community in the Chicago area. Our community is designed to offer residents the comforts of home alongside the support of experienced care partners. We’re committed to providing residents with incredible memory care in Bartlett, as well as the opportunity to engage as an active member of our community. Artis Senior Living is passionately dedicated to our mission to promote optimal wellbeing for our residents. We do this through strong partnerships between care associates, families, and the residents themselves. Our philosophy of positive partnership has been honed from over 200 years of collective professional and personal experience in senior care. We pursue this philosophy by encouraging ongoing communication and upholding standards of self-respect, dignity, and individual potential. Artis Senior Living encourages residents to have a voice, not only in their care plan, but also in their daily lives. Each month, memory care residents have the opportunity to meet with the Director of Culinary Services in a meeting called Time to Dish. Residents can offer input for menu changes and upcoming culinary events, as well as share personal recipes to be used to prepare meals. Choose a Bartlett memory care experience for your loved one the Artis way. Four distinct neighborhoods converge at the Town Center to form the Artis community. Each neighborhood includes a family room, kitchen, dining room, and access to a private courtyard. Individual suites make up the residential aspect of each neighborhood and allow for privacy and personal comfort. The Town Center acts as the hub of activity at Artis Senior Living. Residents gather here for daily and special activities, wellness care, exercise, arts and crafts, and more. Contact Artis Senior Living to learn more about our innovative and interactive programs. We’d love to talk with you about the power of positive partnerships in memory care.